Cartridge.com supplies most of the paper product use for daily office, such as computer form, paper roll, copier paper and printing paper. Cartridge.com paper products were all manufactured under the quality standard of ISO 14001:2004 and ISO 18001:2007 to make sure our paper products reach the highest standard quality and be able to enhance your printing experience. Cartridge.com paper products are well design for printing purposes. Our paper products applied latest paper making technology so the print out on our paper product can last 2 times longer than other brands’ paper products, our paper white surface is always the best to present your print out in a clear and high quality output, it also enhance colour printing with our pure white paper base. 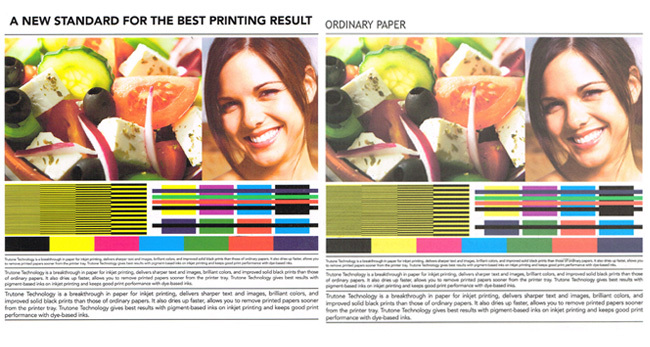 Enjoy perfect print all the time with our high quality and high tech paper products. Cartridge.com online store serve as the cheap and high quality office supplies online seller. Our warehouse is always fully stocked, so no worry on stock issue.